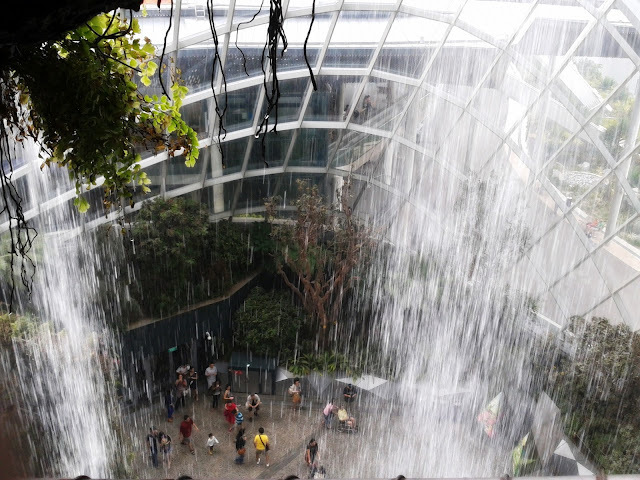 Be Brave: The Little Things- Movie Date, Gardens by the Bay! 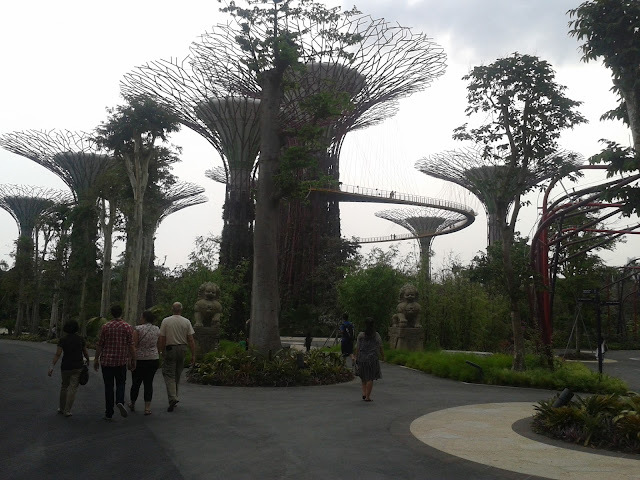 The Little Things- Movie Date, Gardens by the Bay! Not forgetting the garlic bread with a hint of curry scent and taste, dipped with BBQ sauce, heavenly!Lol. 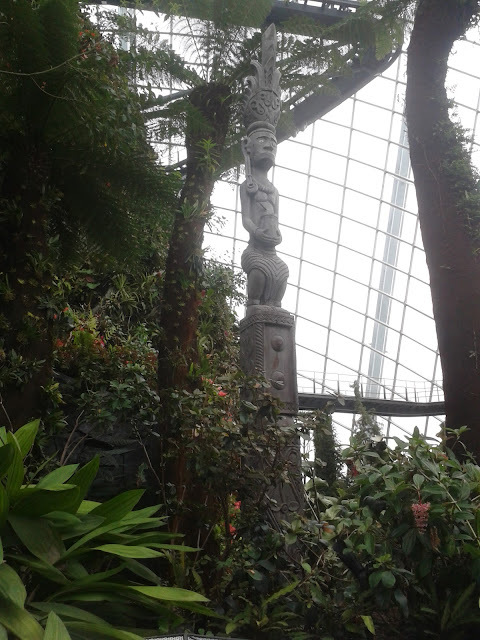 Friday went out with Mum to Gardens by the Bay, visited 2 conservatories, took tons of pretty pictures. Mostly of flowers cos they were just so pretty and colourful!Can't resist,hehes! At the front of the Gardens! 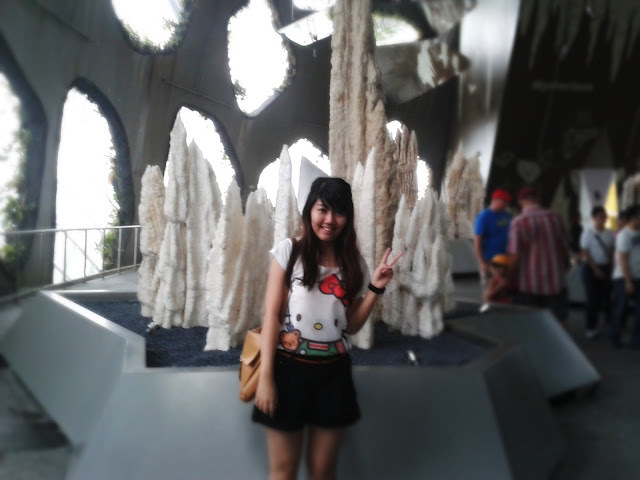 First place visited was Flower Dome, breathtaking view seriously, super fresh air and a lot of flowers! There will be some statues at some parts of the plants, heh. Here's one of them. I believe they were real pumpkins. The flower garden at the base level, with all the straws/hay bunnies and scarecrows! Different Catus from large to small, some looked like they survived in deserts and brought to here. heh. However, not much of flowers there, mostly other types of leafy plants, getting to know more about Earth vegetation, water areas etc. 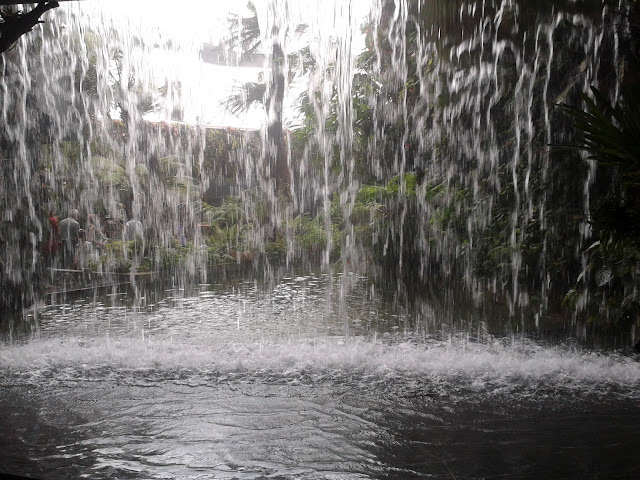 Went behind the waterfall, was afraid I would fall when taking this. 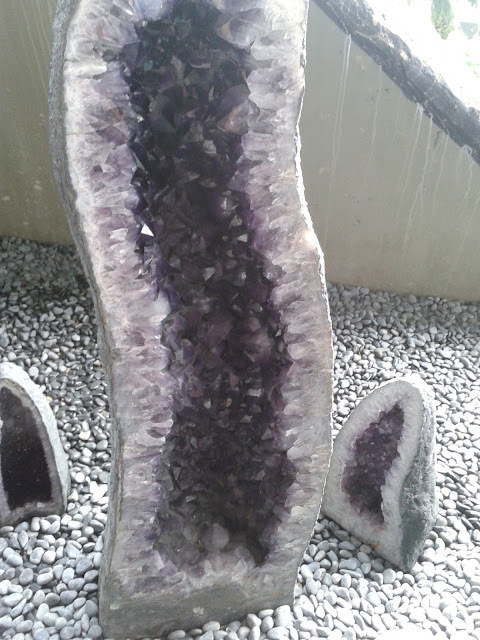 Crystals exhibition at another level. Went with mum to walk this Skywalk i think that's what it was called, around 6-7 storey high, with drain holes on the path, was a nice experience, looking down from there, though mum was a tad afraid. But we managed to walk the whole thing so yay!^^ It was fun! 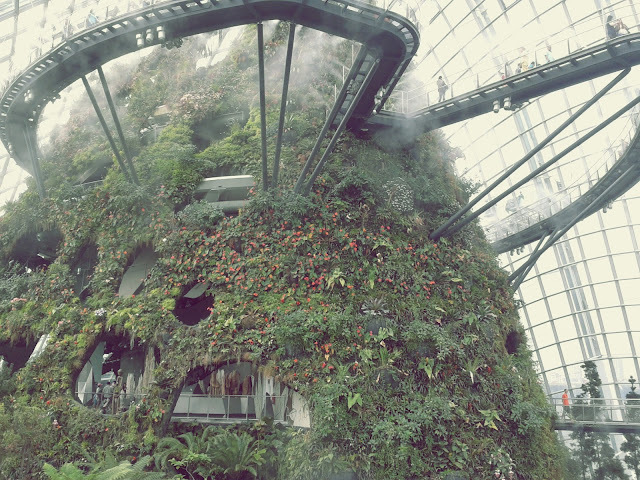 Oh and those smokes are actually sprinklers to water the unreachable plants,hehes. Do go if you have not done so!Definitely won't regrets! That's probably one sad thing oh and it drizzle for awhile so could not finish exploring the outdoor gardens. I love them too, best places of all,hahas and all the pretty flowers and gardens!